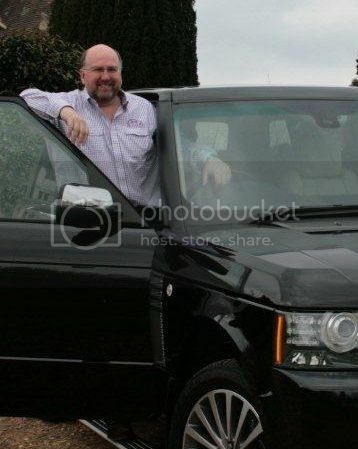 Well, of course that’s what Range Rovers are for… isn’t it ? You see, there was a chap putting some fencing up for me at the far side of one of the fields at the rear at Lowe Towers … I wanted to have a quick chat with him, but he was little more than a speck in the distance … and my Range Rover was conveniently close … I thought, well, it’s my field – why not…? Before all this unscheduled excitement I was thinking about that old saying, a ‘Bad hunter chases, a good hunter waits’ which, in a nutshell – points out that rather than chasing down your target waving a spear in an extravagant and very labour intensive manner – it might be better to simply hang about by the path to the local watering hole and jump out when your target inevitably but eventually goes past. So, instead of pursuing customers across the internet with expensive advertising and perhaps slightly too many emails with the aim of instant results … you might find you would be better off finding out where you ideal customers are likely to be, and set your ‘stall’ out nearby in order to attract and collect your customers that way. This can take longer to bear fruit than ‘chasing’ certainly, but may well be a better use of your time if it is your scarcest commodity as it is less effort (and cheaper too) to share a link back to your content from a Facebook group for your niche and ‘wait’ for a response, rather than spend time on keyword research and producing an ‘ad’ that will ‘chase’ them around everywhere they go online.